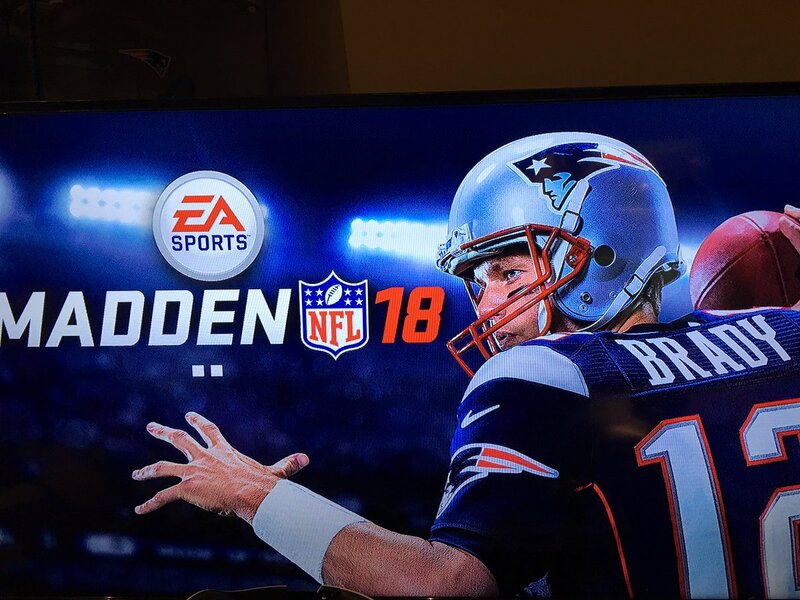 The season of football is about to begin and with it is the arrival of the new version of Madden NFL. As expected, the simulator of this sport comes updated, with improvements compared to the editions of years gone by and a game system that remains solid. However, it is not the only new thing that brings this edition, since there are adjustments and changes that affect the way to enjoy this title. The main change that has Madden NFL 18 is in the graphics engine, being that now runs in Frostbite, just like FIFA. This brings with it a graphical improvement that stands out when compared to the previous year's edition. If past versions already offered a great visual presentation, this delivery raises the level in a way that both players and stadiums show improvements in lighting and textures, where each one is becoming more realistic. This, along with the pre-game presentation make the game a great visual aspect, although there are still some details on the screen that have not been completely polished and that end up jumping a little to what surrounds it. On the other hand, there is a change in the way of playing. Madden NFL 18 gives you the option to play both in an Arcade, Simulation to Competitive mode. As you might expect, each one offers a very different degree of dedication and fun. Playing Arcade means long passes, few interceptions, and fantasy plays. Simulation is the way we have known and played for many years. Finally, Competitive is a way that only the true connoisseurs of the sport and the franchise will be able to play without wanting to throw control. Each mode offers a different degree of user fun, giving the option to play more relaxed or suffer by advancing each yard. Another of the novelty that brings this delivery is the new mode of history The Longshot. After many years in which different sports games have delivered each year epic and interesting stories about young promises - and with it, a more immersive way to play - it is now the turn of Madden, who presents us the story of the young Devin Wade, a young promise of college football, who after giving up everything, finds an opportunity to enter the NFL. The basis of the gameplay is very similar to what we experienced last year with The Journey in FIFA 17, but this time, the study Tiburon leaves us much to be desired. The narrative of Longshot takes us from cutscene to cutscene, where we advance the story of this player, making decisions along the way along with his friend Colton Cruise, as well as participating in some flashbacks that we go back to his time as a high school player. The adventure to be a professional player in the NFL leads him to participate in a reality show where he will have to go through different tests so that at the end of the road, is considered for the Draft. Although the narrative is good, and has those corny moments that reach your heart, touching on issues such as family, friendship, sacrifice and so on, it remains a very wasted opportunity. The story is full of good performances and appearance of sports legends like Dan Marino or Oscar-winning actors like Mahershala Ali, whose participation is of utmost importance. After a little more than 6 hours of demonstrating knowledge of the sport, making decisions, flashbacks, memories of glory and Quick Time Events, there are certain elements that do not make this story like the others. While the narrative experience is good on the one hand, the lack of complete parties, being able to repeat supposedly "important" times over and over again until you achieve it and ignore the decision of the scouts who are supposed to be reviewing you, the effort you think you put do not have the weight you believe. 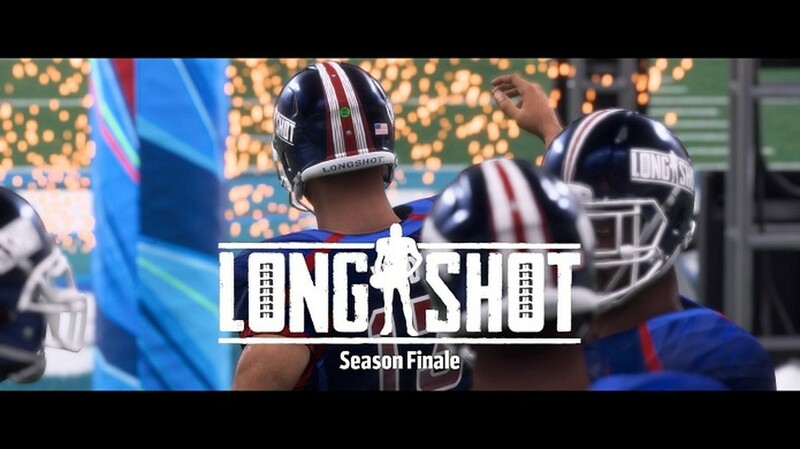 However, I hope this is not the last time we see the Longshot, or at least one mode of history within Madden. The proposal can learn a lot from other sports titles and the narrative of the characters we met, to follow in some way. Although it is possible to mention that Devin and Colton continue as part of the Madden Ultimate Team. As we speak of this way, Madden Ultimate Team, the way to create a team based on cards and improve them, is one of the modes that more changes and adjustments received this year, both for good and for bad. First of all, there is the new feature that Madden Ultimate Team now has the option of accumulating experience, allowing you to level up and unlock challenges, game modes and more importantly, other types of envelopes. This on the one hand offers a new way forward in this mode, but to this must be added the other existing progression elements like Tokens and coins. On the one hand, there are MUT Squads, a cooperative mode in which you participate in teams of 3, each controlling different aspects of the game. The modality is striking and something new in the game, requiring communication with your peers. The franchise mode is still very similar to last year, with few settings in the mode. Here the situation remains the same, choosing between being a player, coach or owner of the team, and propose a goal for the season. The game still keeps the player abreast of an advance through experience that you get by meeting goals within each game and season, which helps you raise your character's stats. From there on out, there are only a few adjustments to the plausibility of the game. Finally, in the area of narrations and comments of the parties return Brandon Gaudin and Charles Davis debuted in the game last year. The work of each of them continues to live up to what we expect from videogame chroniclers, adding new phrases to those of last year, as well as counting on lines that are progressing and detailing aspects as the season progresses. With all this, Madden NFL 18 still has some problems, such as the long loading times before the games, and are even in training mode and MUT challenges, having to wait longer to load the next move in the time you have to make your next decision with the ball. Madden NFL 18 offers distinctive visual enhancements with graphic engine shifting, making the game a pleasant visual experience. However, the experience does not feel all couple, with a story mode that is a must, a franchise mode that just and was retouched and an Ultimate Team that while adding new details, becomes overwhelming. 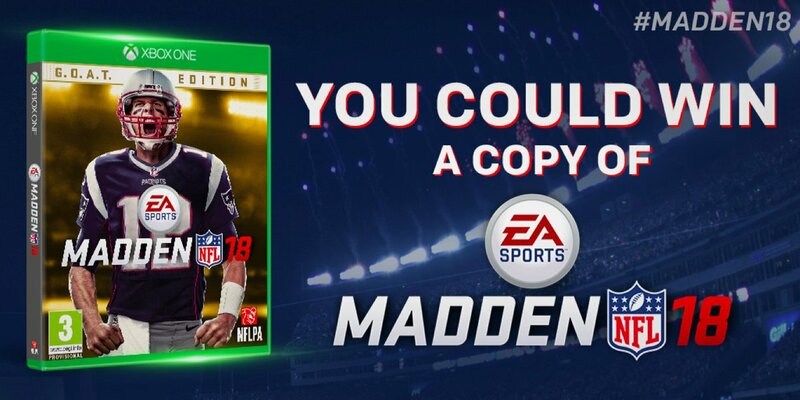 By the way, NFL decides to give away 25 More copies of EA Madden NFL 18! RT to enter to win one! Madden 18 Coins PS4/ Xbox One in store now, you guys can click www.madden-store.com for it.